Blog What's The Best Printer For Your Home Office? What’s The Best Printer For Your Home Office? The difference between an inkjet and a laser printer? What will you use your printer for? How much will your printer cost to run? What type of printer is the fastest? Do you need photo printing capabilities? Do you need duplex printing? Should I buy a Multifunction device or a separate printer and scanner? What’s the most reliable home office printer? The idea of a paperless office is really popular these days, but it’s not always possible. In fact, even companies that are meant to be 100% paperless often only tidy up their act when they’re being audited by somebody like the Payment Card Industry folks. The same applies to working from home – you might have the absolute desire to use as little paper as possible, but sometimes there’s just no way around that. You’ll have documents and files that need to be printed and stored, and that’s without even taking into consideration what how useful a multifunction printer/scanner combo can be for any small business. So you’ll need some kind of printer for your home office setup. The question on most people’s minds really comes down to this: Which is best for home office use – a laser or inkjet printer? You also need to take in account that because you’re working from home you probably need a printer that’s not only useful for business printing, but can handle all your family printing needs, too. What’s the point of having two separate printers if you can get away with just using one? This isn’t always possible due to the nature of your business, but it’s an easy way to save yourself some money. Although the documents they print out might look pretty much the same, the technology involved is completely different. An inkjet printer sprays teeny, tiny droplets of ink onto paper, whereas a laser printer uses heat and an electromagnetic charge to “fuse” a very fine powder called toner onto paper. There were other competing technologies in the past like dye sublimation and wax-based printing, but they never took off. Go figure! Inkjet printers tend to be physically smaller, cheaper to buy and less expensive to run if you’re not printing a lot of stuff. Laser printers take up more desk space, have more expensive consumables, but are far more economical if you’re printing tons of documents. Entry level inkjet and laser printers both cost roughly the same amount of money. Most people buying a printer for a home office will automatically default to buying an inkjet printer, and although the price tag might look attractive, they’re not always the best choice for a small business. The only way you can be certain you’re buying the right type of printer for your small business is to be really honest when you’re answering the “What will I use it for?” question. This is the single most important question to ask yourself, and it’s the same question I asked you in the “How to buy a computer guide“. The reason I keep asking you to answer this question is because it will save you from spending way more money than you need to, and get a printer that’s perfectly suited to your needs. So, take a few seconds to think about exactly what you’ll need to print. Will it just be plain text documents, with the odd chart and some basic graphics? Or will you need a printer that can also produce high-quality photographic prints for either your business or your kids’ projects? In either of these scenarios a basic inkjet printer should be more than capable of meeting your printing needs. Or, will you need to print out hundreds of documents on a weekly or monthly basis, including handouts and presentations? If that’s the case then a laser printer is a far better choice because they’re designed for that type of work. If you need to print in color then an inkjet printer makes sense. 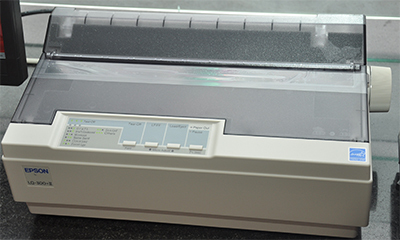 If you only need to print lots of plain text documents then a laser printer makes more sense. The only real way to get an accurate answer to this question is to look at the cost of inkjet cartridges vs. toner cartridges, and working out how many pages you’ll get from each one. So let’s take the example of a typical inkjet cartridge costing $25, and capable of producing 250 pages of high-quality text. You then have a 10c average cost-per-page when using a printer of this type. If you own a laser printer then you can expect to pay around $100 for a toner cartridge, but it will be capable of producing at least 2,000 pages of high-quality text. That gives you a 5c cost-per-page when using this type of printer. In this example the laser printer costs more to buy consumables for, but the lower cost-per-page more than makes up for that if you’ll have to print a whole heap of documents. This is what it can feel like when you choose the wrong type of printer. Inkjet printers pretty much always have a higher cost-per-page, but they’re the more economical printer for a home office if you’re only printing a handful of documents each week, or maybe even every month. Laser printers are the cheapest home office printer to run if you need to be able to print lots and lots of stuff. Also bear in mind that the above examples only refer to printing text documents in black and white, but not in color. The average cost-per-page for color printing with an inkjet is about 20c per page, and around 12c per page for a color laser printer. There are other running costs to consider too, and ones that computer retail stores won’t always share with you. Well, it’s because if they told you the actual truth you’d never buy the printer i.e. they lose out on their sales commission. 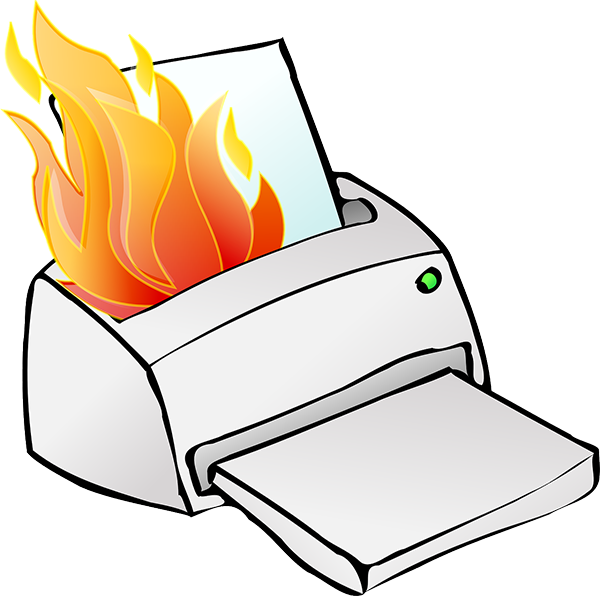 If you use a basic inkjet printer to produce thousands of pages of text every month, it’ll die within a few months of you buying it. Actually it’ll probably stop working after a few weeks. Commercial inkjet printers might be able to handle high-volume printing, but a $50 printer will literally fall apart under that much printing pressure. Laser printers are designed to handle high-volume printing, but they also have complex internal components that will need to be replaced if you’re a real printer hog. How much does repair/servicing cost for a laser printer? The repair tech guy is going to charge you anywhere from $60 – $80 for his time, and the parts might cost even more. Again, you need to be honest about what you’re going to use your printer for, especially when it comes to the volume of printing you need. One of the oldest tricks in the books is when a manufacturer releases an entry-level inkjet printer for $30, which is just too much of a bargain to refuse. So, you rush home with your new printer, set it up, print out 100 pages of stuff with the included cartridges. Then it runs dry, really, really quickly. 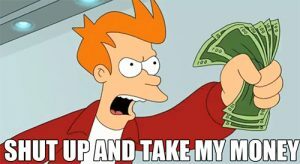 You get the store, find your cartridges, and check the price tag: $35 per cartridge, so that’s $70 in total. So, yes, your brand new printer needs replacement cartridges that cost more than the printer cost to buy. Manufacturers simply can’t make any real profit when they sell you a printer that costs less than a pizza and beers. What they do instead is make their money back on the consumables i.e. ridiculously expensive replacement cartridges. That’s why I advise anyone who’ll listen to check the cost of the consumables for their printer before they buy it. Does every printer manufacturer pull this stunt? Nope, but never take anything for granted. Be Fox Mulder about the whole deal: Trust no one. If you’re wondering why inkjet ink is so expensive, LifeWire have a decent article explaining why. Oh, and if you’re wondering why the replacement cartridges last WAY longer than the original cartridges, it’s because certain printer manufacturers have been known to supply partially filled cartridges in the box. Yes, really, and it’s something they call “priming”. This aspect of a printer will only matter if you need to print lots of stuff quickly. When it comes to just pure speed then a laser printer will win hands down, every single time. Even an entry-level laser printer costing less than $100 (something like the Brother HL-L2300D) can churn out 20 pages-per-minute (PPM), whereas a similarly priced inkjet printer will produce 10 – 12 pages-per-minute. When you move up in cost to laser printers costing around $200, you’ll find they can knock out 50ppm, but a similarly priced inkjet printer will struggle to produce more than 35 pages-per-minute. At the very top end of the printer market you’ll find that high-end laser printers can print up to 200 pages per minute, with inkjet printers trailing behind at 100-pages per minute. Does any of this matter to you? That all depends on your business printing needs. While inkjet printers might lag behind laser printers in output speed, but when it comes to printing high-resolution photographs nothing can compare to a high-quality inkjet photo printer. It’s not just about the printing technology used, but also the fact that laser printers are simply not suited to printing on certain types of paper, specifically photo paper. Now, you can get photo paper for laser printers, but you also need a color laser printer to print from. The problem here? Color laser printers cost way, way more than an inkjet printer capable of printing directly to photographic paper. So, the main issue with using an inkjet vs. laser for photo printing comes down to cost. This is just a fancy way of asking if you need a printer that can print on both sides of a page. The simple answer here is “Yes” duplex printing is a feature you should look for in a printer. Because it cuts down on the amount of paper you use, so you can reduce the overall cost of owning that printer. You’re also reducing your carbon footprint by doing this, so it’s a win-win. There are two types of duplex printing for you to consider: manual and duplex. Manual duplex printing is the annoying process of having to print one side of a document, then feed the pages back through again to print the reserve side. So, we can skip that “feature” because it’s not really a feature – it’s just a headache that results in lots of paper jams and wasted paper. Automatic duplex printing does what it says on the tin – the pages that pop out of your printer automatically have both sides printed without you having to fiddle around with stacks of paper and some kind of messy feeder system. Now, my experience with auto-duplex printing on entry and mid-level inkjet printers has been mixed. Sometimes it works great, but more often than not you wind up with a paper jam. And that’s a bad thing with an inkjet for more reasons than having to take the printer apart to get at the jam, but the paper feed rollers also get covered in ink. Paper jam problems are even more common with inkjet printers unless the paper you’re using is completely dry, completely flat, and free of any creases or wrinkles. That includes making sure your home office isn’t too humid. 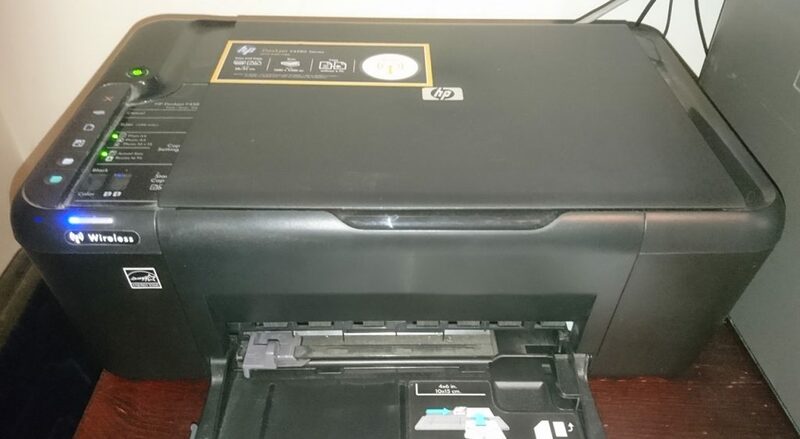 I’ve never had the issue with laser printers, which is why I’d suggest that if you’re going to be doing lots and lots of 2-sided printing I’d opt for an auto-duplex laser printer for your home office. Yes, they’re more expensive, but the amount of time you save fiddling with paper jams more than makes up for it. There was a time when printers that also included a scanner/copier were too expensive for the average Joe or Josephine, but times have changed. These days if you buy a mid-range printer there’s a very good chance it’ll be an all-in-one model, because that’s where there consumer market is right now. You’ll also find that afford multifunction devices (MFDs) come in both inkjet and laser flavors, but with the inkjet obviously being more affordable than the laser. There’s also the fact that an inkjet-based MFD is going to take up far less space than its laser equivalent, so that’s something to take into account if you’re working with a limited amount of space. You’re not sure if you need an MFD? Well, you obviously need a printer, but have you needed to get something photocopied or scanned recently, which meant either doing that in your day job (or getting your partner to do it in theirs). Or even worse, you had to trek all the way to a local copy store or your friend’s house to use their printer and scanner instead. The answer to whether or not you should buy a multifunction printer or a separate printer and scanner is a simple one: Get the MFD, except if you have a very specific requirement for ultra high resolution or high-volume scanning. There’s only a small difference in price between a standalone printer and an MFD for the entry and mid-level models, so you won’t need to remortgage your home to buy one. The world of technology seems hell-bent on making everything wireless, even when it doesn’t necessarily make any sense to do that. Case in point are those wireless Apple headphones – pretty much the dumbest idea I’ve seen since the chocolate teapot. Plus, a chocolate teapot doesn’t cost $150. But I’m getting off point. Should you buy a wireless (Wi-Fi) printer? If you only have a tiny office to work from, then it makes perfect sense to have your printer in another room. Even the smallest printers or multifunction devices measure 18-inches long by about 10-inches in depth. That doesn’t sound like a lot of space until you put it on your desk, and then cuss under your breath because it looked smaller in the catalog. Most wireless printers tend to be 3-in-1 models, with print, copy and scan functions built in. Some of them still have fax capabilities, but I think the last time I sent an actual fax was in 1996. Still though, there are certain industries where email still isn’t considered legal tender, so maybe faxing still makes sense for some of you? One thing to watch out for is that while your 3-in-1 wireless printer can print and photocopy wirelessly, you can’t scan from most of them unless the device is physically connected to your computer. Maybe some of the more expensive MFDs out there allow this, but my trusty HP needs to be cabled up for me to do any scanning. Nope you don’t because you’re not actually printing via Wi-Fi to your printer – you’re printing directly to it via its own access point. Don’t worry too much about what an access point is – just know it’s a way for your computer to connect to the printer without using any cables. Another advantage of wireless printers is that they also allow you to print to them directly from your smartphone or tablet, or pretty much any other device capable of sending a document of some kind to a printer. If you intend using your wireless printer with your smartphone or tablet you will need a Wi-Fi connection in your home, because otherwise your device has no way of “speaking to the printer”. Apple products can be a real pain in this regard, which is another reason why I don’t feature them anywhere on the site. There’s absolutely no way I can recommend one specific printer as being the most reliable above all others, simply because what you need from a printer is very different to what I need. The most reliable printer I ever owned (bar absolutely none) was my HP850c, but they haven’t been available to buy for about 15 years, so there’s some useless information for you! Decide if you need a color model, or will mono do? Sure, you can get any of these for way less than I’m suggesting, but I want you to have a hassle-free experience when printing, and buying the cheapest model of anything you can find rarely produces the results you expect.